As the days get warmer and the sun sets later, most everyone we know will start having their friends over for early evening spring cocktail parties. For us, spring time means cleaning off the grill and spending our weekends in the backyard. In either case it’s a great chance to try some new and refreshing cocktails to get out of the winter doldrums. Here are five we sorted through that we think will make your springtime even better. Cheers! The amazing cocktail below was made by cocktail chef, and author of Eat Your Drink, Matthew Biancaniello and uses a pretty unusual ingredient – stinging nettles. Add everything into a tin with ice and shake and strain into a coup without ice that is filled with pomegranate seeds and garnish with a sprig of nettles. 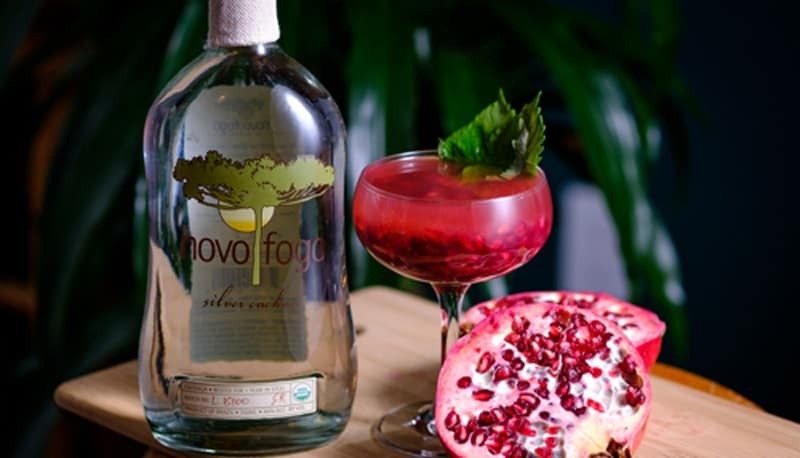 To make the infusion, take 1 pound of stinging nettle and place in an air tight container with one bottle of Novo Fogo Silver for 5-7 days and store back into bottle.